Areas of your roof can develop dark marks, streaks, or even become dark in color. If this is happening to you, you are not the only one in this ‘boat.’ It is usually thought of as a result of a buildup of dust, pollen, pollution, and other organic materials that have fallen over the seasons, but actually the staining is caused by algae growing on your shingles. 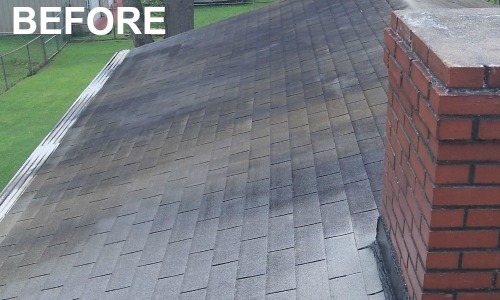 Roof pressure washing is the best way to remove this alga and can make it look new again. 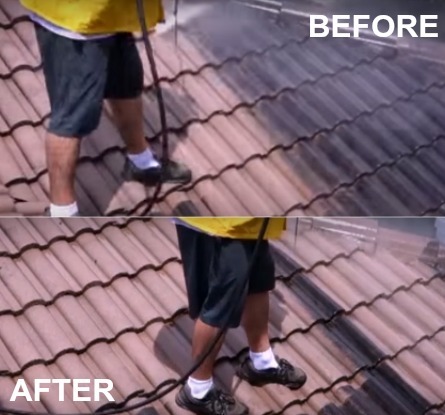 The “powerwashing” is a process that uses actually a non-pressure with a cleaning solution to remove and stop the growing of the algae on the shingles. We are a pressure washing business that offers power washing services and complete low pressure cleaning services restore and renew your roof to its original shine. Many power washing companies out there offer the same services as we do, but no one offers the low pressure washing cost that we do. Not only are our prices low, but are training is high. We are the best residential pressure washer services in the Atlanta, GA area. Call us today at (678) 335-9311 to get the best pressure washing estimate. Never hire pressure washer to do a professional job without knowing if they know how to complete the service. 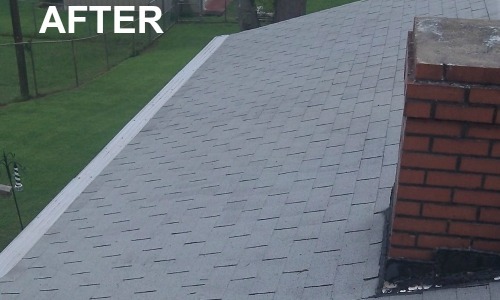 ​ Roof pressure cleaning is a process and service that will make your roof look new again. Most home owners associations require power washing services when your roof becomes strained and the appearance is no longer acceptable. Calling our team to have the best pressure washers in town complete a power wash roof service is the safest and easiest way to get those neighbors to stop staring and those letters from the home owners association to stop coming. Our roof power washing service actually uses no pressure. It is actually a process that uses no more pressure than your garden hose. High pressure should never be used to clean your shingles. 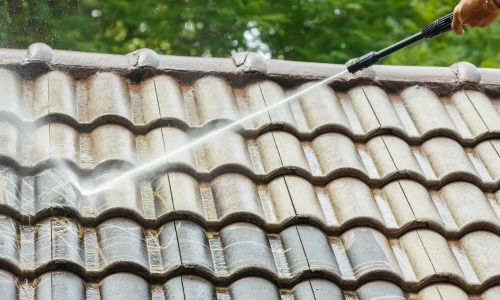 Using a high pressure wash roof service can dislodge the granules that cover your shingles and protect them. Removing these granules will leave your shingles open to the elements. Also, this can cause the roof to fail early and may void any warranty that your shingles may have from the company that produced them. Our team uses a cleaning solution that removes the darkest strains that build up within the first few minutes. Not only do we not use a pressure washer to damage your shingles, but our special solutions will not damage it either. Years of training and expert team members have developed the service and have mastered the plan. We also ensure that the cleaning solution will not harm your plant life around your house. When your shingles are darkened from algae growing, not only causes it to look bad, but also causes to absorb more heat from the sun, causing your attic or the top floor of your house to become hotter. This in turn then causes the air conditioning to work harder to cool down the building and uses increased energy bills. Removing the stains and the darkness will attract less of the sun’s ray causing your air conditioning to run less. This means it will cost you less to cool your house in the summer. The algae growing on your building is actually an algae growth known as Gloeocaspa Magma. Not removing the algae allows it to eat at the limestone filler on your shingles causing the shingles to absorb more moisture and not allowing it to dry out. This dramatically shortens the lifespan of any shingles causing the roof to need to be replaced well before the actually expected lifespan. Having our team to come to your home and complete a cleaning service is a fraction of the cost of replacing it. Prematurely replacing your roof is a costly mistake when all you need is our team to restore it's beauty in a short time. ​ We are able to return your home’s roof to a condition that is like new in appearance and cost far less in price and in time than having a new one installed. 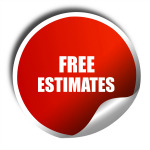 Our teams of trained professional are ready to restore your home’s look today. Call us today at (678) 335-9311 for the most reliable and efficient cleaning services in the Atlanta, GA area. We not only use the most state of the art equipment and the highest of quality products in our services, but we are also able to leave you with long lasting cleaning results. Our affordable services and great prices allow everyone to enjoy the wonderful services that our expert teams can offer. Ensuring that the beauty of your home is reflected with our property restoration services is our goal. Making sure it is affordable to all is our promise. The dark strains can cause your house to lack that curb appeal everyone wants. The first impression of your home in your only impression you get. Make sure your home has that fresh and clean look by hiring our professionals to restore your curb appeal today.